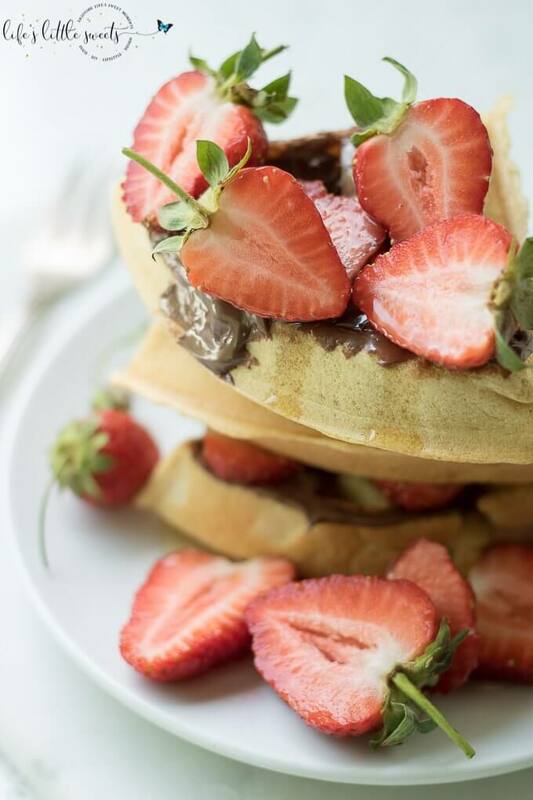 Having Strawberry Nutella Waffles is a sweet, chocolate-y and fresh way to start the day. 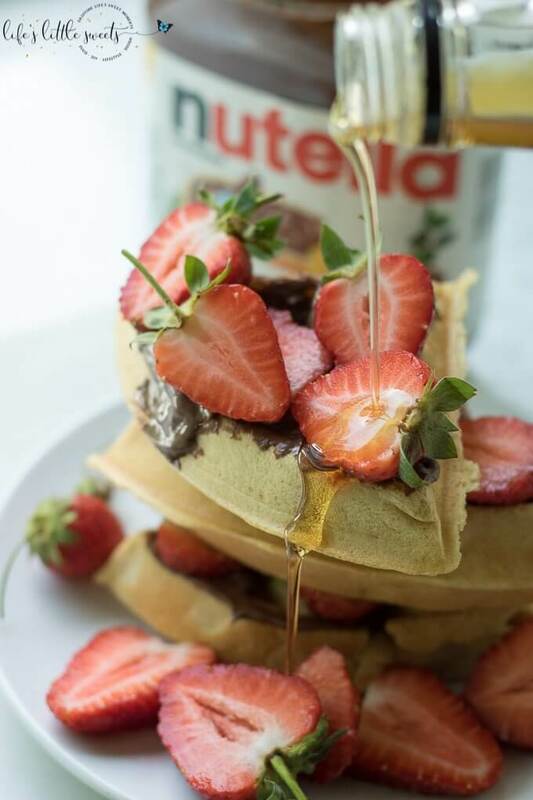 Be it a weekday or family brunch, this pleasing combination of fresh strawberries, hazelnut-chocolate Nutella and maple syrup flavors with freshly made waffles is sure to please. 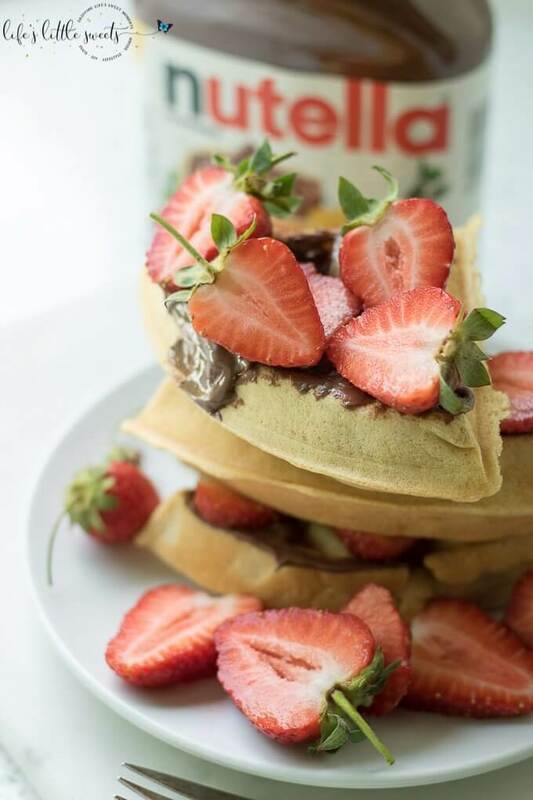 Hi Everyone, there’s something about Strawberry Nutella Waffles that seems like a wise and natural choice for breakfast, don’t you think? Spoiler Alert! 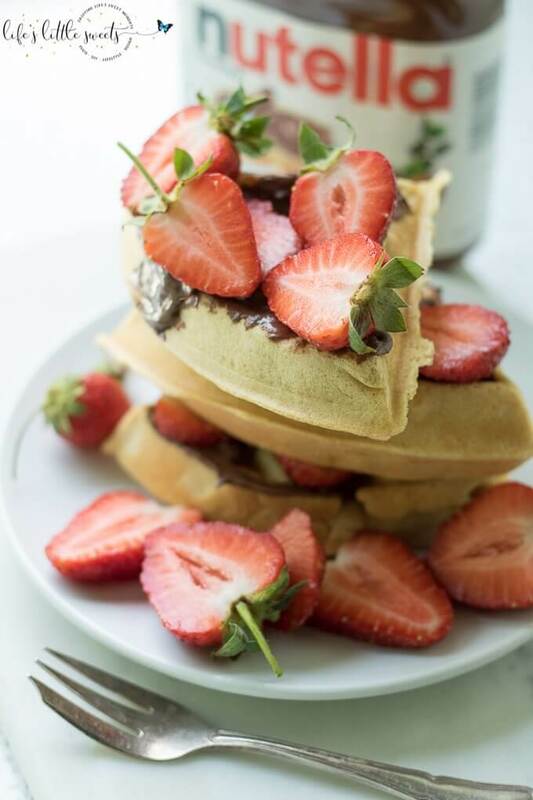 These are NOT from scratch waffles. 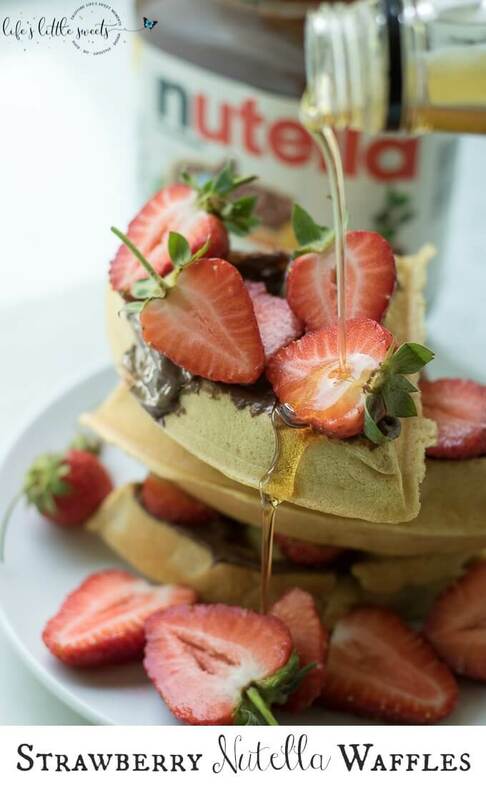 My favorite lately has been Kodiak Cakes brand because they are a healthier kind of waffle/pancake mix with protein – I especially love their Superfood one which I link to below. 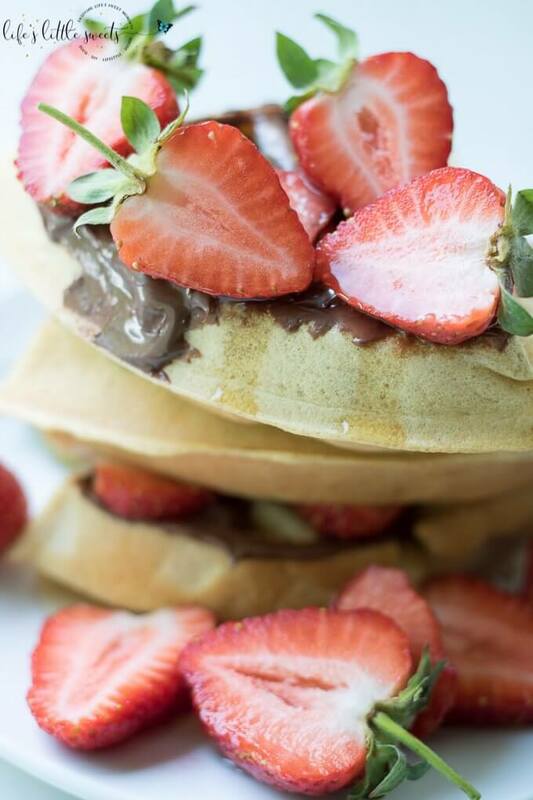 I don’t think every recipe I share has to be 100% from scratch because it’s not realistic. I know my life as a mom with 2 kids in our family and I know that other parents and people have busy lives too. I do love having time to make those from scratch recipes and remember those late-night bake-a-thons that I would have pre-kids but I do think it’s nice to have and be able to have prepared meals that are not labor-intensive. 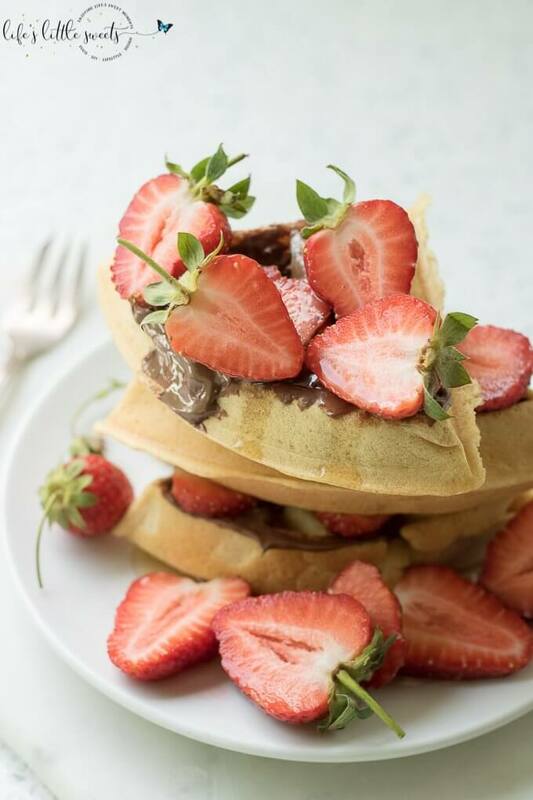 I make 99% of our family’s meals and I wouldn’t be able to do it if everything was perfectly from scratch and I do feel that as a home cook and am better with timing and being resourceful – for example, finding the best darn mix which I’ve already posted about before! 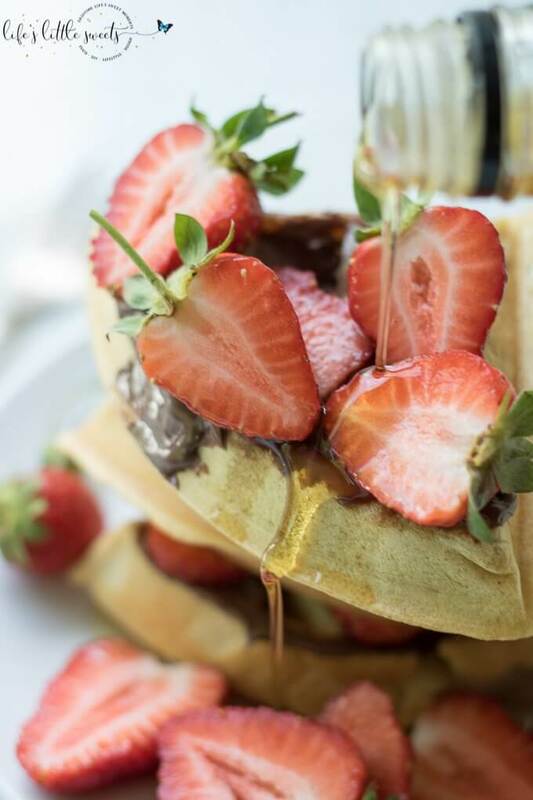 See, Easy Breakfast Mug Cake. 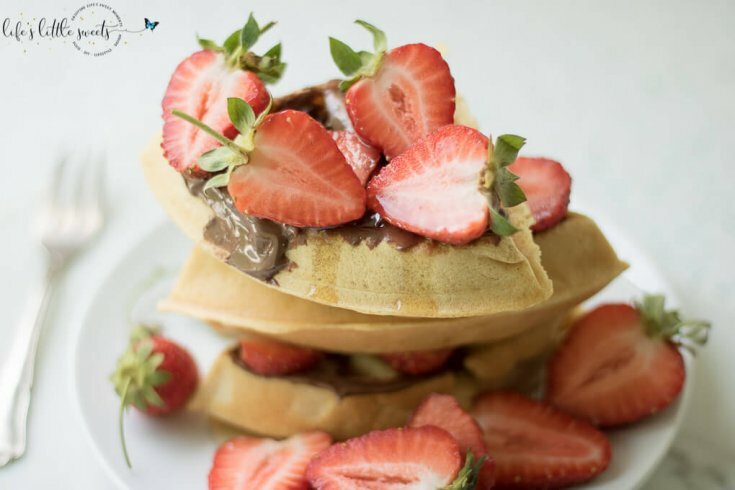 This recipe isn’t so much as a recipe as it is a recommendation to eat those strawberries while you can get them in season and enjoy them paired with other delicious flavors like Nutella and 100% pure maple syrup. The strawberries pictured here are from my sister-in-law, Nicole’s strawberry patch and they just keep getting better every year. Don’t you love those green tops? 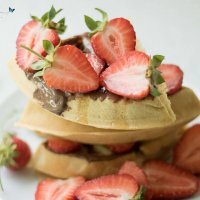 I know you will love these Strawberry Nutella Waffles! 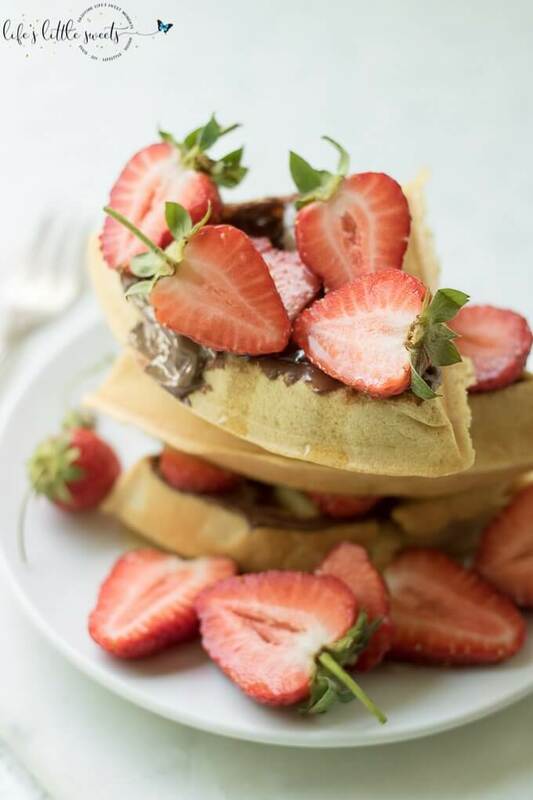 If you like these Strawberry Nutella Waffles, you might also like these other recipes on Life’s Little Sweets: Cherry Oatmeal Pancakes, Potato Pancakes (GF), Strawberry Buttermilk Pancakes, Chia Pudding.